The latest Oreo flavor has arrived — and it’s a bit fishy. The new flavor has been rumored on social media for a few days, with many speculating the Oreo packaging was nothing more than an impressive Photoshop job — but lucky for us, it’s the real thing. An Oreo representative confirmed to Delish the fishy cookies are only being sold at Kroger grocery stores (and of course, you can get some of the cookies on eBay). While early reviews have been mixed, Swedish Fish fans should probably shop early and often as the cookies are a limited-time offering. 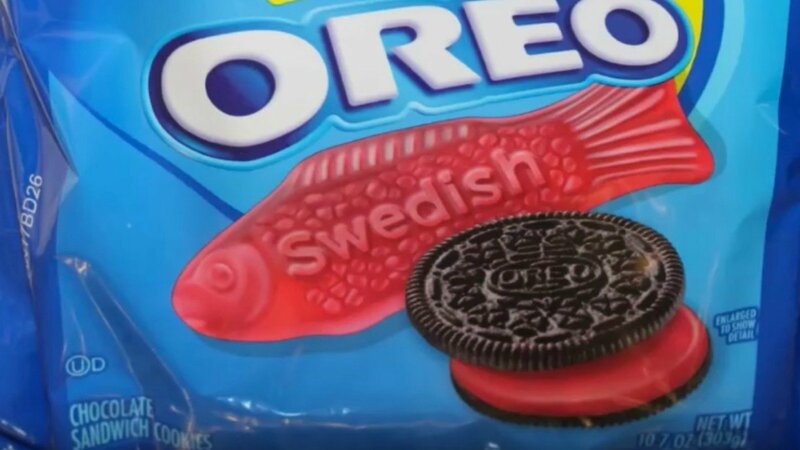 Mondelez International distributes both Oreos and Swedish Fish in North America, which makes the combination even more understandable. ← THIS WOMAN SPRAYS ALCOHOL ON HER BED. SHE CAN’T BELIEVE WHAT SHE FINDS THAT NIGHT!